‘Lagori’ is a popular South Indian street game that -is also known as ‘Lingorchya’, ‘Pitthu’ and ‘Sitoliya’ in various other parts of India. This game is played by targeting a pile of seven stones. Our band’s fascination with the musical time signature of 7 plays a major role behind the name. The fun and energy with which this game is played is also prevalent in our music. As a band, we are fascinated by the rich diversity of culture that exists in our country — especially the evolving definition of what it means to be ‘Indian’. 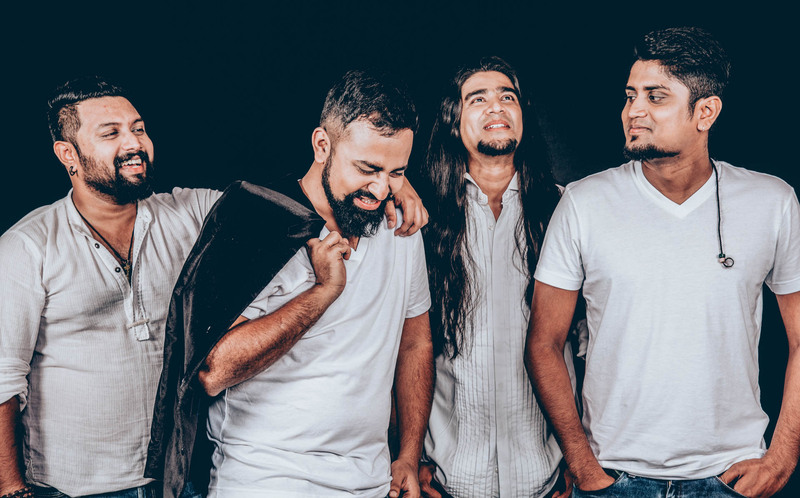 Having grown up in the cosmopolitan city of Bangalore– a city that is a melting pot of cultures, ideas, languages and beliefs — our music reflects the varied influences of each band member, culminating in unique, fresh and honest sound. We make music that reflects the face of the modern Indian youth, by combining Indian classical melodies and inflections with Rock music, resulting in an interesting mix that is high on energy, while being catchy and soulful at the same time. We truly hope our music takes you on a euphoric ride, and you enjoy our Lagori universe ! For any live shows, studio sessions or collaborations, please contact Geeth Vaz on +91 99867 15557 or mail us at lagoriindia@gmail.com.